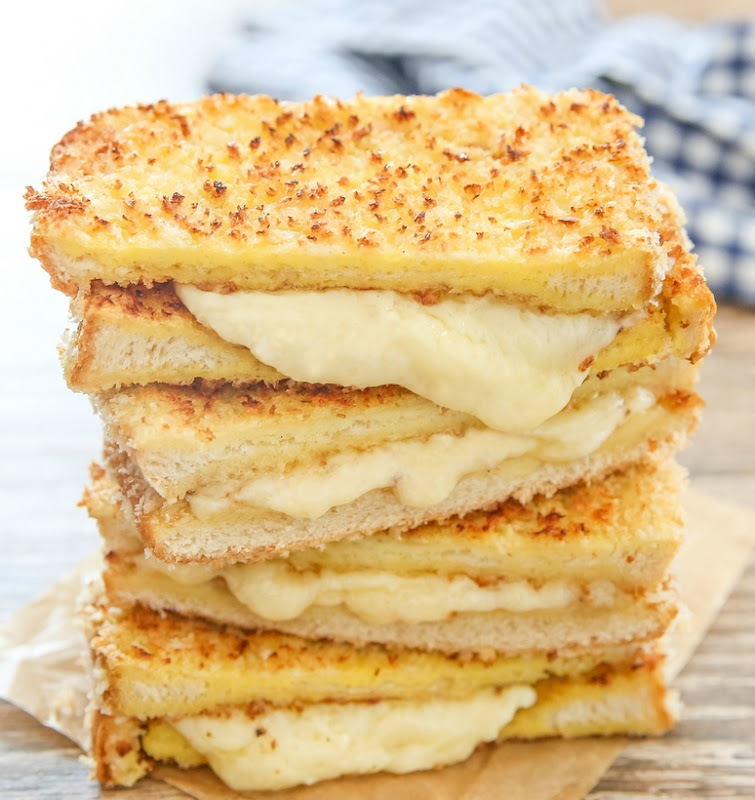 These grilled cheese sandwiches are coated in panko breadcrumbs, giving them a crunchy finish. 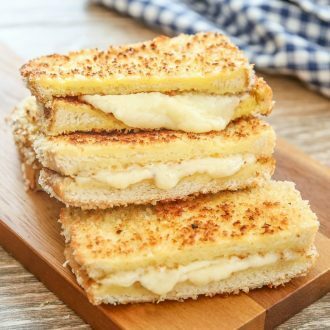 Last week I made Crunchy French Toast by coating the bread in panko breadcrumbs, which gave me the idea to do something similar for grilled cheese sandwiches. I loved how these turned out. Crunchy on the outside, with gooey melted cheese in the middle. I’ve also done a version adding pesto and one using tomatoes. I’ve been on a grilled cheese kick lately. It’s fast, easy, comforting and doesn’t take a lot of effort. I’m going to keep this post short and simple because I’m writing it on a Monday. Okay it’s technically Tuesday since it’s past midnight, but I haven’t gone to sleep yet so I’m still in Monday mode. I find myself so exhausted on Mondays. It doesn’t matter if I had a restful weekend or a busy weekend, Monday morning feels like I didn’t get enough sleep for days. I’m always careful to avoid doing tasks that could require a lot of thinking on Mondays. So I avoid signing important documents, writing complex letters or emails, etc. Otherwise, when I wake up on Tuesday I’ll usually cringe at what Monday me did. Bottom line: these sandwiches were delicious and I definitely recommend giving them a try. 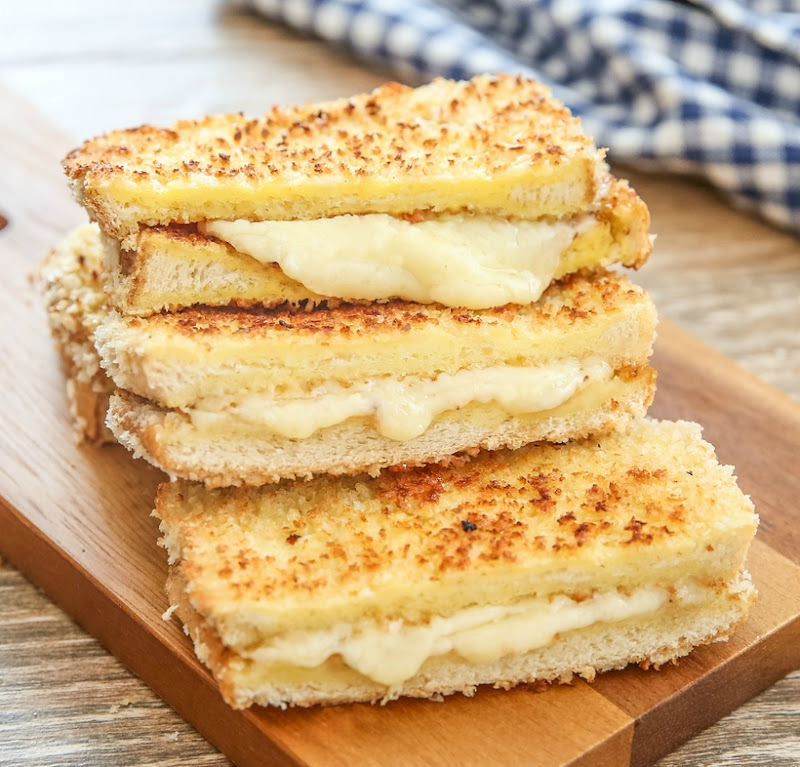 These simple grilled cheese sandwiches get an upgrade with a crunchy panko coating. In a medium bowl, whisk eggs and milk and set aside. Pour panko crumbs into a separate medium bowl and set aside. 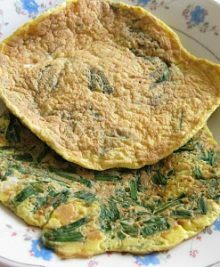 Dip both sides of bread slice into egg batter. Roll into breadcrumbs a few times until both sides are evenly and fully coated in breadcrumbs. Repeat with remaining bread. Add butter to skillet and turn on the heat. After butter is melted, place bread onto skillet and cook until panko crumbs turn a golden brown. Flip over and repeat with the other side. Remove from pan and set aside. Repeat with remaining bread. Place 2 slices of finished bread back onto skillet. 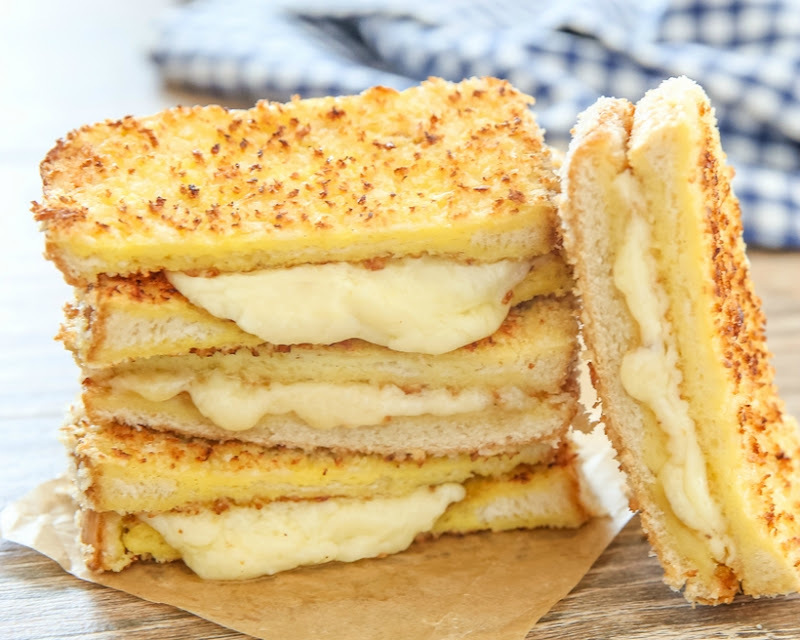 Place a slice of cheese on each one and then place remaining 2 bread slice on top of the cheeses, forming 2 sandwiches. Pressing down slightly onto sandwich, heat both sides until cheese in the center is melted. Remove from heat and serve immediately.